Apple Discontinues A Failure (in 2001) | The Small Wave. It was early July, 2001 when Apple finally threw in the towel on the Cube. 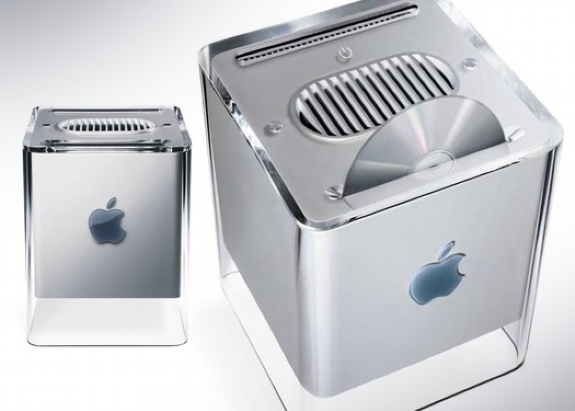 Introduced to much fanfare as the G4 Cube only a year earlier, the device never met Apple’s sales expectations. Not all was lost, however, the radical design earned it a place at the New York Museum of Modern Art. This entry was posted in General and tagged Apple, cube, design, Desktop, Mac, MOMA by Tom Reestman. Bookmark the permalink.